While the major league players have just 10 days left in camp, the Cubs minor-league prospects are just now getting in the swing of it after 10 days as there season does not begin until April 5. Games started being played this week out in Mesa and the surrounding areas like Scottsdale in Yuma. Two key highlights of the week were four perfect innings from Jen-Ho Tseng and three scoreless from Jose Paulino. In addition, both Zack Short and Wladimir Galindo each cranked out home runs. And according to Arizona Phil, the source for all the Cubs minor-league news this spring, outfielder Eddy Martinez is off to a really strong start. In the major league camp, the Cubs cut the roster down to 37. One of those cuts was World Series champion Justin Grimm. The writing has been on the wall for a little bit since he actually wound up going to arbitration against the Cubs. As a result, Grimm’s contract was not guaranteed this year. I don’t think the Cubs are going to try and re-sign him to a lesser deal. On Thursday this week, I wrote about who could possibly be the last reliever standing. Grimm’s cut narrows it down to Eddie Butler and what looks to be dark horses in Anthony Bass and Justin Hancock. Not quite sure how that is going to play out over the next 10 days but there are only 3 non roster invitees left in Bass, Kyle Ryan, and the hard throwing Hancock, who pitched at Tennessee and Iowa last year. With just 37 players left on the major league roster, minor league rosters are starting to take shape. They are far from final, though. For example, Iowa currently has 37 players on its roster along with four players on rehab. Let’s say that 7 out of the 10 nine roster invitees get signed to minor-league deals for 2018, that puts the roster at 44. Close to 15 of those players are going to have to either be moved down to Tennessee or cut. That will start a chain reaction to adjust the rosters for opening day of the minor league season. However, that’s not going to happen for another two weeks. I imagine rosters will be released on April 1 or 2 for most of the minor-league clubs. My wife and I broke down and used some of our income tax refund to buy a new camera. We got a Canon EOS T6 with 3 additional lenses to zoom in. She wants to use it for the birds in the backyard and I want it for baseball…imagine that! I cannot wait to take some pics with it next month. 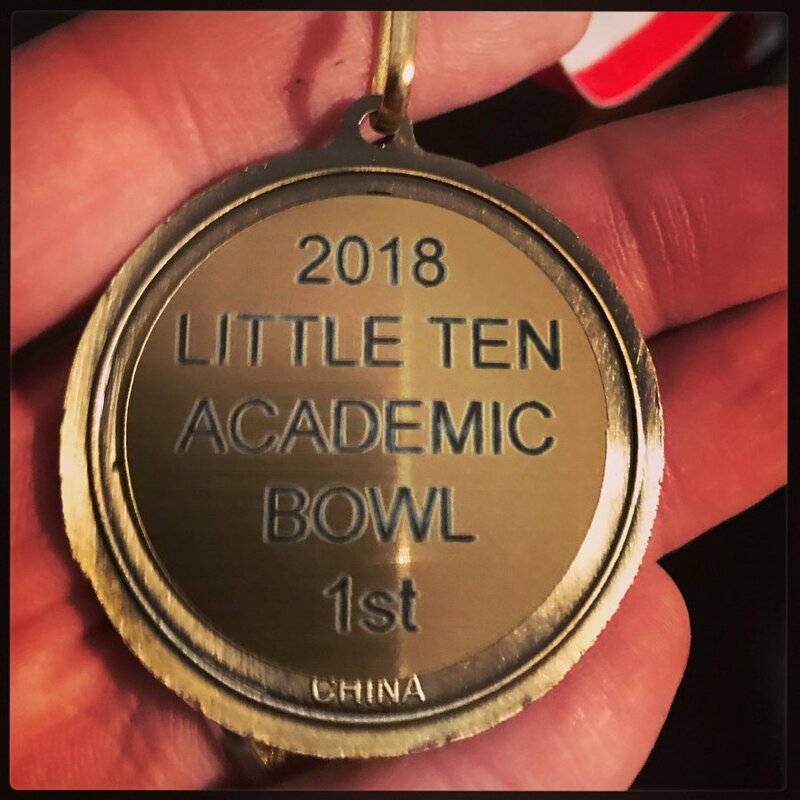 My busy season at school officially ended on Thursday night when my academic team won the conference tournament!!! It was a pretty sweet victory and I have a mostly young team that loses just two seniors, but my leading scorer this year was a sophomore. I also had three underclassmen in the starting lineup every night. It was fun to watch them grow by leaps and bounds. As a result, I have all kinds of free time now. I began flushing out the affiliate previews a little bit more this week and I also had time to write two articles. One was for Cubs Insider on the recent minor-league pace of play changes and the other was for BP Wrigleyville on which minor league affiliate to watch this spring. I like my team better for the summer than I do for April as I took some risks in adding a lot of future rookies on the bench and drafting Britton, who is currently injured. The final article in the “Leveling Up” series comes out on Wednesday. Outfielder Brandon Hughes, who should be at South Bend in 2018, has his possible future profiled about what kind of player he’s going to be. After that, I don’t have anything planned for two more weeks until MiLB opening week+. Nothing is pre-written as most of the off-season is. So, I’m just gonna go with the flow of what is happening for about 10 days. It should be a lot of fun for a change. And I will probably make some cards … just like this jem. ‹ PreviousWho Is Going to Be the Last Reliever Standing?